Home » A&E » Was the Black Cook From the Movie “Pearl Harbor” Real? In an iconic scene in the 2001 historical war movie “Pearl Harbor,” a cook fired one of the .50 caliber machine guns on the ship, shooting down four planes. The film, directed by Michael Bay, was a dramatic retelling of the Japanese attack on Pearl Harbor 75 years ago on Dec. 7, 1941. It was nominated for four Academy Awards. 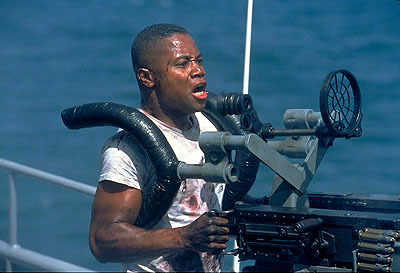 Cuba Gooding Jr. portrayed cook Doris “Dorie” Miller, but was his character based on reality? Yes, he was. 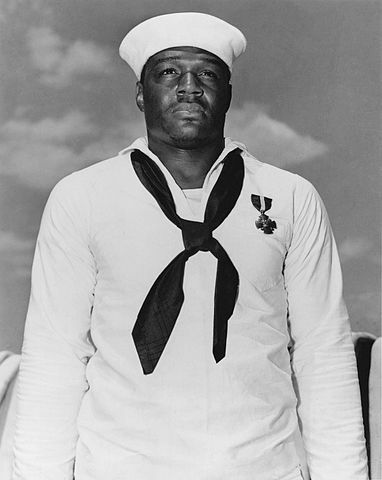 Miller had been promoted to Mess Attendant Second Class just before the USS West Virginia battleship relocated to Pearl Harbor. On the day of the attack, the cook woke up at 6 a.m. to complete extra duties as a room steward, providing wake-up services to officers, doing their laundry, shining their shoes and making their beds. An alarm went off that let him know it was time to head to his battle station; the USS West Virginia was under attack by over 200 Japanese torpedo planes. Soon enough, he was ordered to carry injured shipmates to a more protected part of the ship, according to the Naval History and Heritage Command. At this point, he was also a heavyweight boxing champion on the ship who stood at 6 feet, 3 inches tall and weighed over 200 pounds. He later attempted to aid the ship’s wounded captain, Mervyn Bennion, but the captain refused to leave his post. But did Doris Miller actually shoot down four planes as depicted in the movie? None of the records for the USS West Virginia confirm anyone on board having shot down a plane on that day. Nonetheless, on April 1, 1942, Miller received the Medal of Honor for his bravery and for going beyond the call of duty. In addition, Admiral Chester Nimitz, the Commander in Chief for the Pacific Fleet, awarded Miller the Navy Cross on board the aircraft carrier USS Enterprise. Black Men: Are They in College or in Prison?